Salmon has struggled with egg laying up until now. She laid two tiny grape sized eggs, one mid January and the next mid February. 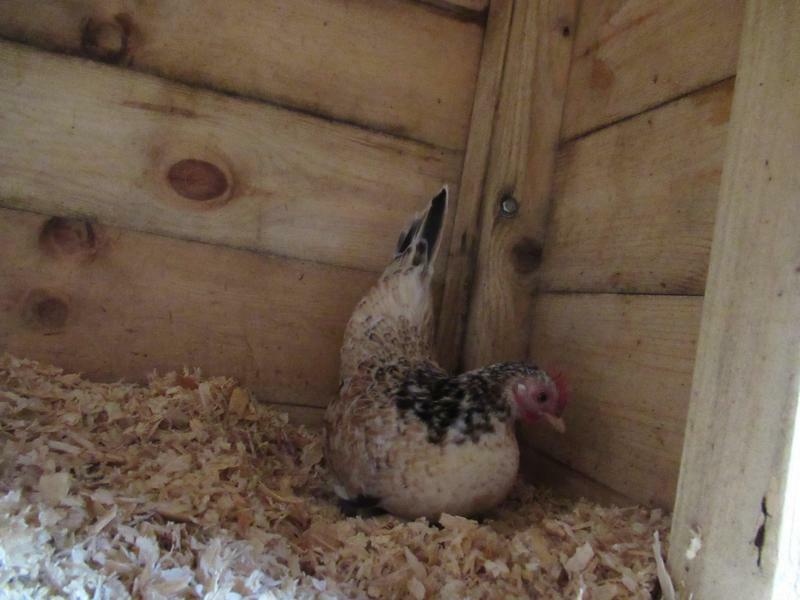 Then two weeks ago she looked hunched and miserable in the afternoon and the next morning there was a soft shelled egg in the chicken shed. One week ago exactly the same thing happened and there was a second soft shelled egg. Yesterday Salmon was very vocal and was digging in the corner of the chicken shed when I cleaned in the morning. 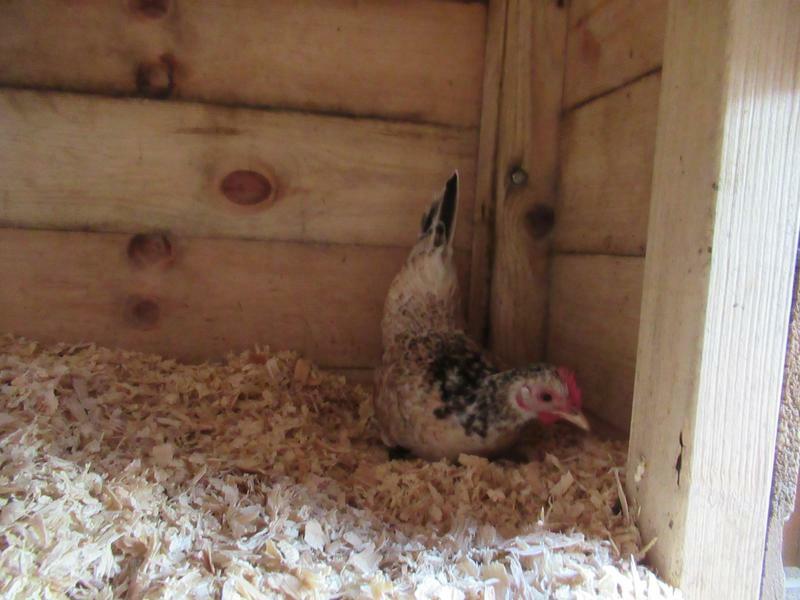 Later she was looking in the nest boxes and settled in the one nearest the chicken shed for a little while. I found this quite encouraging. A little later still salmon had settled in the corner of the chicken shed nearest the pop hole. Salmon was picking up pine shavings and placing them around her. I felt that this time she was going to lay properly. The next time I checked on her Salmon was just leaving the chicken shed. I checked her corner and there was a good shelled egg. It was smaller than the other girls’ eggs but I was so pleased that it had a good shell. I am hopeful that Salmon will be okay from now on and that it was just a problem getting started. Hurrah! Well done Salmon. 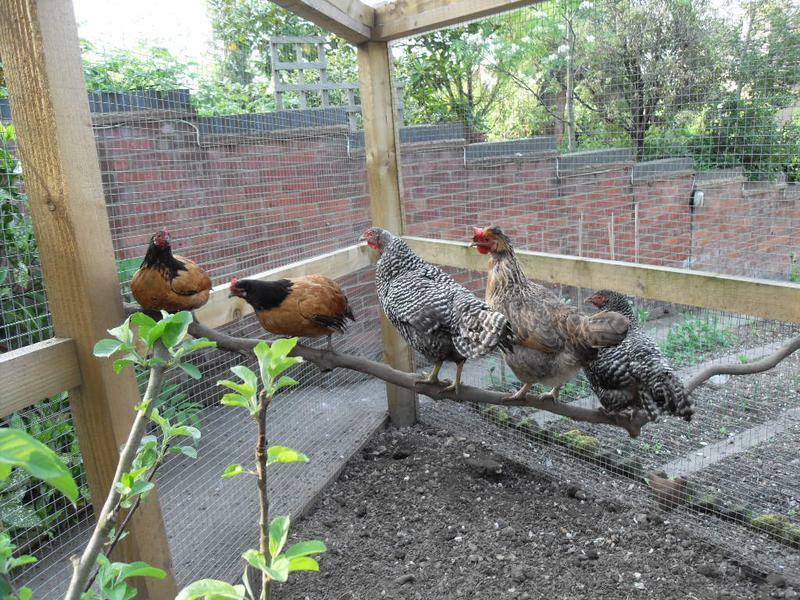 I am really pleased because all the girl laying are now laying okay. Only Sienna to get started. I hope she will be able to lay okay. She has got the hang of it now.